Looking for tips that will improve your productivity? 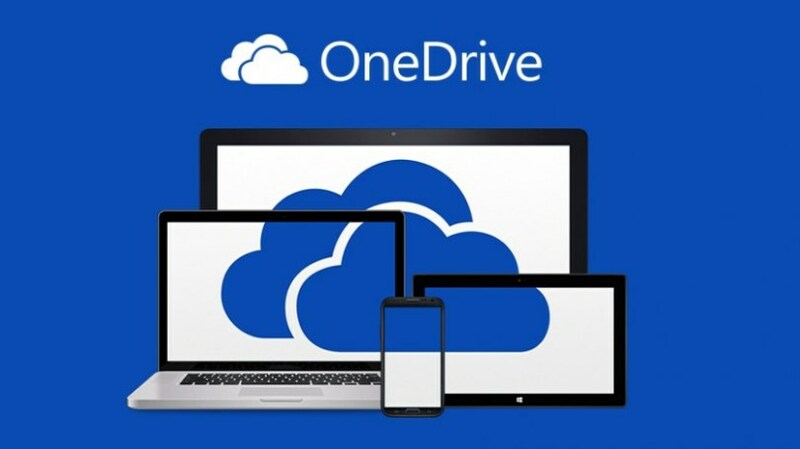 Microsoft OneDrive offers incredible benefits, so why not take advantage of it? It’s an app that I use every day, both on my Windows computer and my mobile phone. Did you know you that you can scan documents, record video, and backup your images straight to this amazing (and free) resource? Or did you know that you can access your OneDrive files without having an Internet connection? Learn about these tips and more below. Want to discuss OneDrive documents with others while you both review them? OneDrive and Skype are integrated to allow communication. With a few clicks, you and another person can Skype about a particular OneDrive document. This is a tremendous tool for having staff and students discuss and collaborate on files. Create Word, Excel, Powerpoint, Excel Survey, and OneNote notebooks using OneDrive on the Web. This is the quick way to create documents that you can share with others. You can also organize your documents and move and copy them from one folder to another. The app also makes it easy to share documents with others via a variety of options, as shown in the included image. You are also able to embed content in a blog or web page. And, aside from saving files with others, you can also make it easy to get files off your own computer using the Fetch feature. If you have the OneDrive desktop app for Windows installed on a PC, you can use the Fetch files feature to access all your files on that PC from another computer by going to the OneDrive website. You can even access network locations if they’re included in the PC’s libraries or mapped as drives. When you browse a PC’s files remotely, you can download copies of them to work on. You can also stream video and view photos in a slide show. To access files on your PC remotely, make sure the computer you want to access is turned on and connected to the Internet. OneDrive also needs to be running on that PC, and the Fetch files setting must be selected. (Find out more). With the mobile app on your phone or tablet, you can manage the web version of OneDrive, take photos, record video that bypasses your device’s photo gallery (a.k.a. camera roll), and create Word documents, Excel spreadsheets, and Powerpoint presentations. Photos and videos are created in OneDrive and saved there. Office files are created and accessible via your device’s Office apps, as well as Office Online (e.g. Word Online). Digitizing student work, important paperwork, photos, and more represent real tasks. The Scan component allows you to capture business cards, documents, and whiteboard work. Scan your paper notes, which are then turned into a PDF and sent to your cloud storage. Once notes are saved to cloud storage, you have the ability to share those with others. You can also use the OneDrive app to print, delete, rename, or open the file in another app. OneDrive can work as your digital hub for documents, but it also notifies you when others share documents with you. You can enable notifications using the mobile app. But wait, there’s more! Did you know you can set up MS Office 2016 on your computer to save directly to OneDrive? Of course, you are also able to save files offline. Want to save space on your Surface Pro tablet or computer? In this video by Sean Ong, see how to set OneDrive to show all the files on your Surface or PC without taking up any storage space. Click finish, enter your credentials, and voila! You’re done. “I’ve taken so many pictures and videos, but I can’t get them off my iOS device!” Many fall into this trap. Caught up in the excitement of capturing and creating content, they fill the limited storage of their iPhone or iPad. Data is lost as teachers reset the device to clear content. Let’s take a look at an option you may not have considered, Microsoft OneDrive. Teachers attending a TCEA Microsoft Innovative Educator (MIE) event asked,”How do we use Office 365 accounts to backup photos and videos?” Another question that follows is “How do we share photos taken at school events with a wider audience?” The answer is Microsoft OneDrive, available for personal (5 gigs of storage) and work (1 terabyte up to 15 terabytes for school accounts). Automatically upload camera photos, which feature camera information like camera used, shutter speed, aperture. OneDrive now features Scan, a way to digitize paper documents and save them direct to OneDrive! Miscellaneous features such as monitoring your storage space, the ability to modify settings, accessing offline files, and setting up multiple Microsoft Office 365 accounts are also included. Once activated, OneDrive will upload pictures and videos from your device to your account. On your mobile, as well as online, you also can organize items into albums for sharing, allowing viewing and/or editing. The Album image thumbnail rotates to give you a preview of the contents. OneDrive makes it easy to take a photo or create a video that can be saved directly to cloud storage. This eliminates the hassle of creating a video, then figuring out how to back it up. Instead, your photo or video is saved directly to your OneDrive account. See how you can do this with this guide. As you can see in the screenshot above, the video recorded straight to OneDrive (bypassing the iOS Camera Roll) and appears with a time/date stamp. Sharing options for this Microsoft product (view/edit with a link or not) for Business/Education reflect your school district administrator’s preferences. OneDrive personal accounts provide individuals with more flexibility. If you back up your camera roll to a personal OneDrive account, the photos will be available to you at OneDrive.live.com. You will see the “Camera Roll” folder appear inside your Pictures folder. To see Albums of Photos, and to access a specific Photos menu, be sure to click on the left sidebar, as shown below. Offering a multi-function feature set, OneDrive provides you with backup and creation options. You can backup photos or videos you have saved to the Camera Roll and use OneDrive to capture photos/videos direct to the cloud. Finally, you can use the iOS Send To menu to save to OneDrive. Give it a try and avoid the hassle of other, less effective methods.